Celebrating Reproductions: Past, Present and Future, Victoria and Albert Museum, London, UK, 17–19 January 2019.Neil Brownsword, Tim Weyrich, and Karina Rodriguez Echavarria. Mould store: Exploring the preservation of the former spode factory’s post-industrial heritage through digital technologies. In Celebrating Reproductions: Past, Present and Future, January 2019.Brownsword, N., Weyrich, T., and Rodriguez Echavarria, K. 2019. Mould store: Exploring the preservation of the former spode factory’s post-industrial heritage through digital technologies. In Celebrating Reproductions: Past, Present and Future.N. 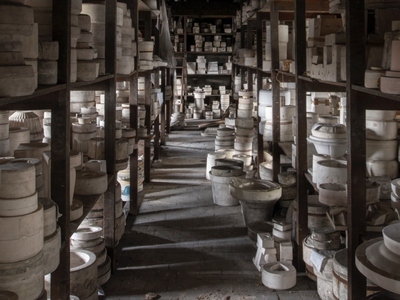 Brownsword, T. Weyrich, and K. Rodriguez Echavarria, “Mould store: Exploring the preservation of the former spode factory’s post-industrial heritage through digital technologies,” in Celebrating Reproductions: Past, Present and Future, Jan. 2019.